Atlantic Hearts Sketch #9: Hooray for you! As you read this, I’ve left for Close To My Heart’s Annual Convention. This year it’s in Disney World! While you drool over all the artwork that the design team has created, I’ll be riding coasters, meeting Mickey, and learning about all the brand new products in the Autumn/Winter 2013 Idea Book! Don’t worry, I’ll be sure to give you some sneak peeks as soon as I can. I gave this card to my little guy, who graduated from Senior Kindergarden on the 14th. I can’t believe he’s old enough for Grade One in September! Okay, back on task. 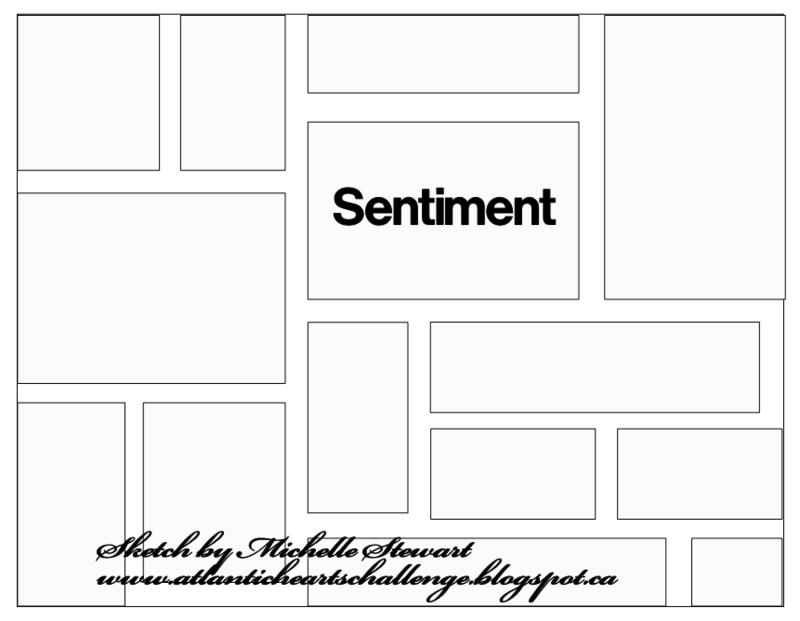 Pop on over to Atlantic Hearts and create a project with this sketch. Remember, it doesn’t have to be a card. It can be a layout or even a home decor item. And you have lots of time still, just link up before Sunday at midnight. Wow, I love this colour-block card! The addition of the sentiment and bling are just right. Can you tell me what you use to create those linky photos of supplies at the bottom of your post? a) so great to have the image for reference, and b) it links right to your ctmh site! Thanks for your comment on my Atlantic Hearts post this week. I will explain it all next week after convention. I promise! 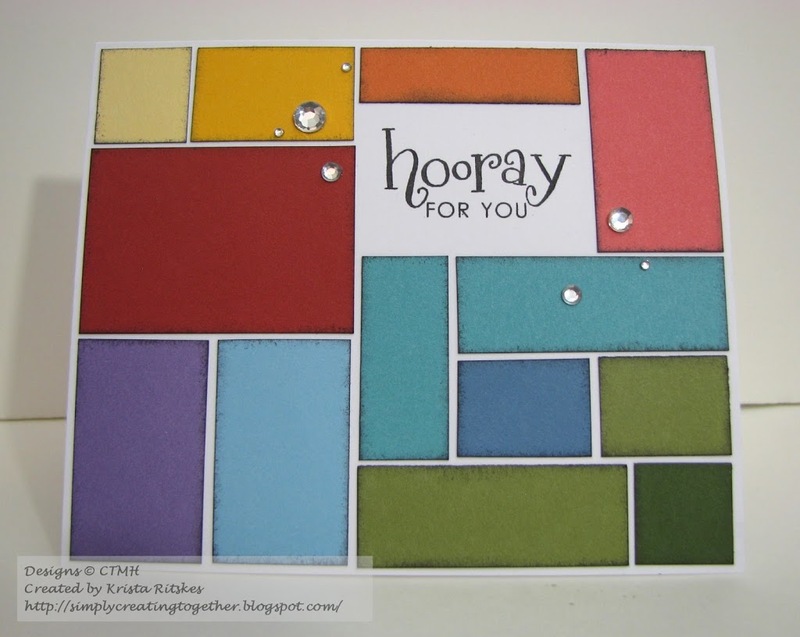 yes, I agree , this color block card is wonderful !! I would also like to know how to do that image reference as well. You should do a tutorial for all us !!! ??? Have a great time at convention !! The addition of the bling was just right. I love how you arranged the card by color….the bling topped it off.